you have a diving license and just want to dive? 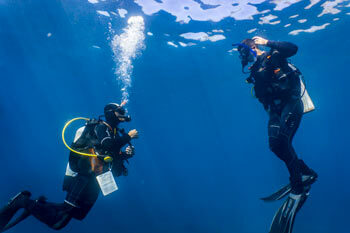 You don’t need any license to go scuba diving with us! 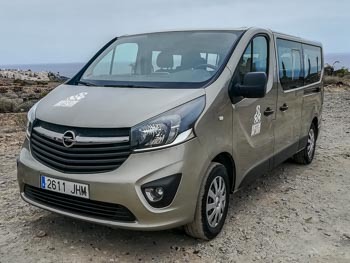 We offer you a special program that will take you to the underwater world in just a few hours and if you like it then you may proceed with the training to officially become a DIVER! If you are not sure about your water skills you can choose the extended version of Try Dive which included swimming pool session to practice before you enter the ocean. We do this program every day for years so we can guarantee that you will feel safe and have a lot of fun. Here you can read more who can dive and how much it costs. If you still have some questions, just contact us! If you are more than 10 years old and you can swim we will teach you how to dive, just in 3 days. 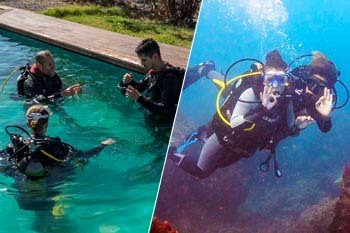 Open Water Diver is the most popular diving course in the world. We teach in PADI and SSI systems – both gives you license valid all over the world with the limitation to 18 meters depth. 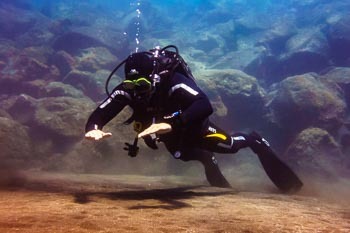 – 4 open water dives. 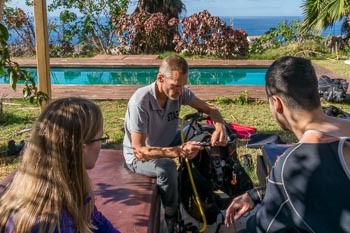 Immersions where we will practice what we learned in the previous dives. We start at 9.30 in the morning and finish at 5:00 p.m. approximately every day. 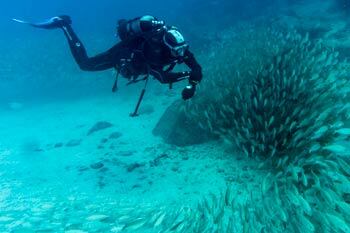 Diving is an extraordinary sport, that can be done all over our planet. Click to contact us if you have any questions or want to book your course. You need to be at least 10 years old to start the training and have no medical contraindications. In the “safety standards” you will find medical questionaries to fill before you start. Are you at least Open Water Diver? 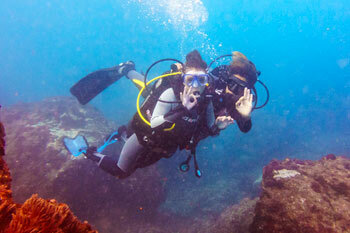 With us, you can upgrade your license and skills up to Divemaster level. Contact us for more details! 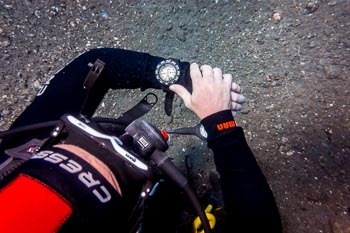 Maybe you didn’t dive for a long time and want to go back to it? Just write us some details and we will prepare for you short or extended refreshment course so you can enjoy diving again! 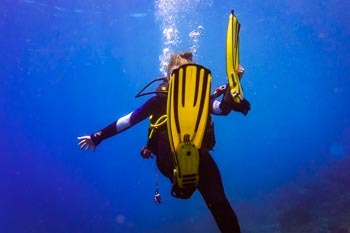 If you don’t feel like scuba diving, you can go snorkeling with us! 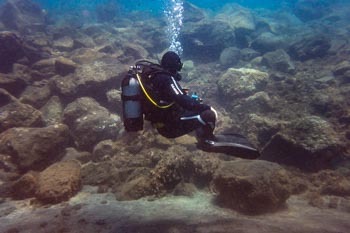 We know the places very well and can show you best side of every dive site. 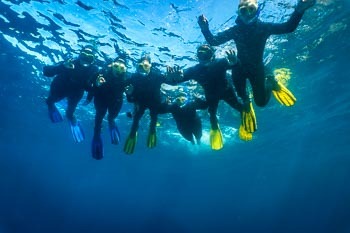 Our offer contains also extreme snorkeling trips from the boat to see turtles and rays! 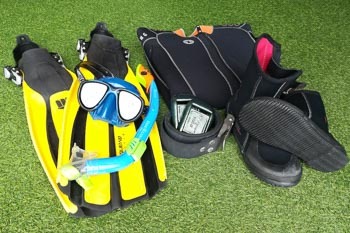 We also rent snorkeling equipment and provide tips how to do it by yourself! With us, you can do a full Freediving course, one training or just go for a “try-dive” to feel what does it mean to be a freediver. Every day we do 2 dives in 2 different dive sites. It means that you can choose if you want to join beginners or advanced group. We meet at 9.30 in our Dive Center and around 10 a.m. we leave for the first dive. 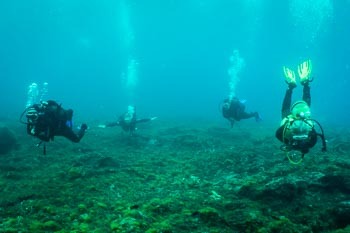 The second dive, we do around 2 p.m.
Groups are small and dives are planned according to the level of our divers. We do our best so your dive experience is the best possible. Just let us know what you expect and we will prepare a customized plan!